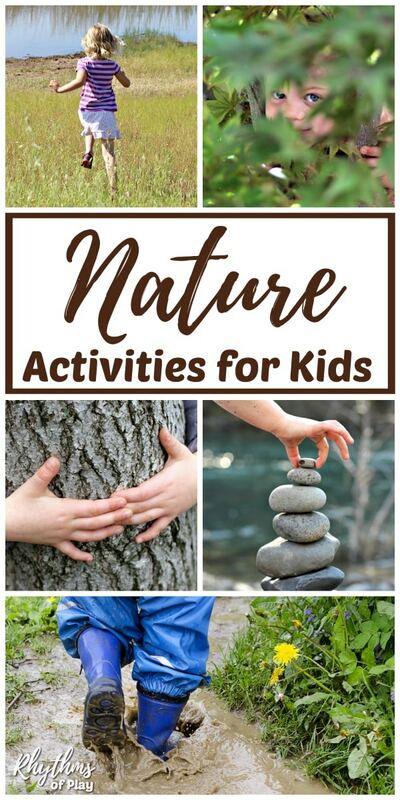 Learn about nature and the mysteries that it holds with this amazing collection of outdoor activities for kids; fun outdoor learning ideas and nature activities for kids of all ages. Below you will find both child-led and loosely structured outside activities, nature activities and nature craft ideas for at home, nature school preschool, and forest school kindergarten. This list also includes fun nature study ideas and nature crafts for elementary school-age children and teens! Below we have created and collected a whole slew of fun ways to support outdoor learning in nature. Remember, these forest school nature activities and outdoor learning ideas for kids are only suggestions. 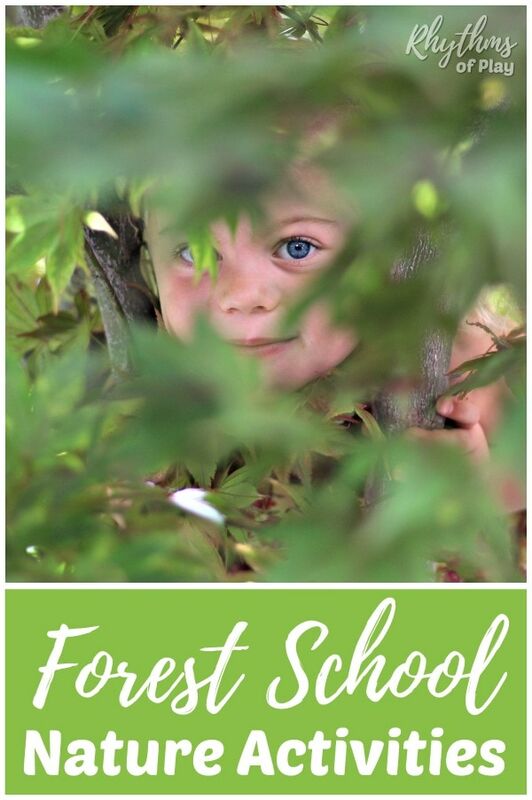 Forest school is about allowing your children to take the lead in their outdoor education. Instead of teaching your children about nature and the great outdoors, act as a guide and fellow nature explorer by using any of these activities as a starting point for your day to day adventures in learning. In other words, it is best to use these nature activities and suggestions as a way to facilitate play rather than teach. Once play has been initiated, step aside and allow it to unfold naturally. It is important to encourage your children to find their own interests in the natural world. 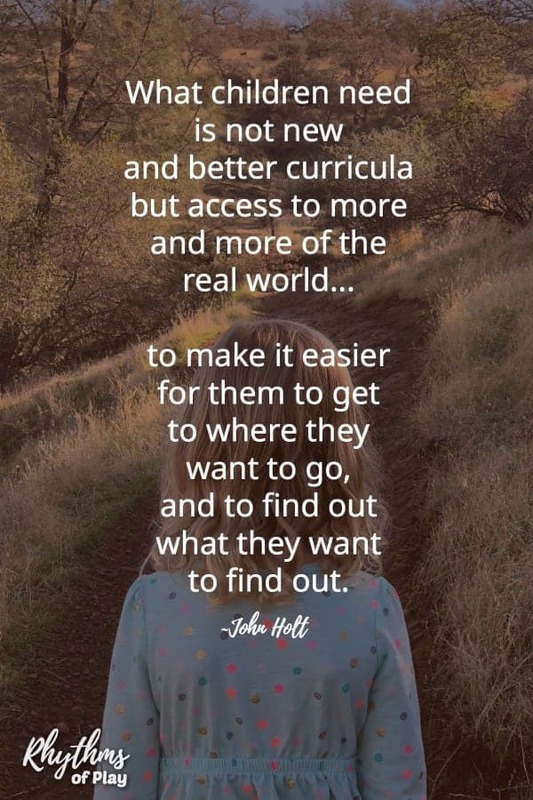 As parents and educators, we need to create space for children to discover clues and find the answers to the questions they pose. I have teamed up with Red Ted Art, Mother Natured, and Preschool Naturally to bring you even more forest school ideas and nature activities over the next few months so stay tuned for MORE fun nature activities for kids. We will continue to add more outdoor learning ideas, nature activities, and nature crafts perfect for nature school preschools and forest schools as we find them and create them. Be sure to bookmark this page for easy reference! Kids love these outdoor activities so much they don’t even realize that they are learning. We will be adding to this list over the next few months until it is brimming with all of the best nature activities for kids so be sure to check back often! Make Mud Pies – Playing with mud is a wonderful sensory activity for the developing child. A classic old-school nature activity for kids! 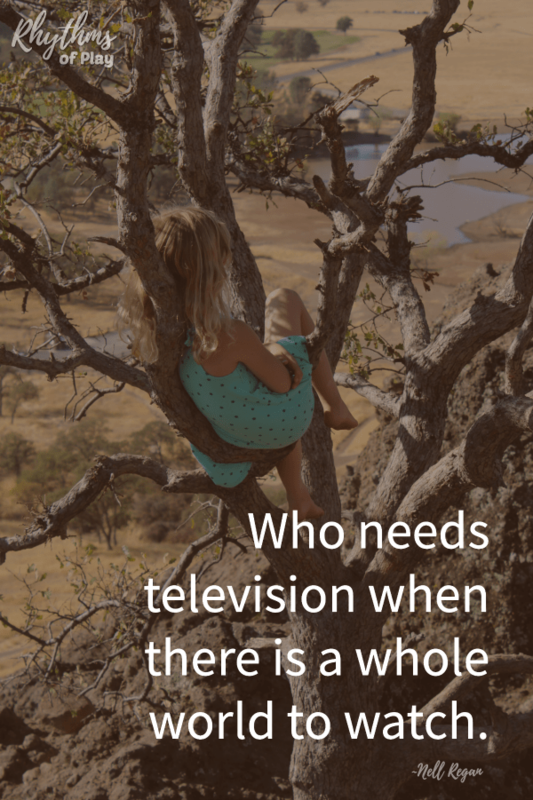 15 Reasons to Climb a Tree and Other Benefits of Risky Play Activities – Tree climbing is an outdoor activity that has many benefits for the developing child. 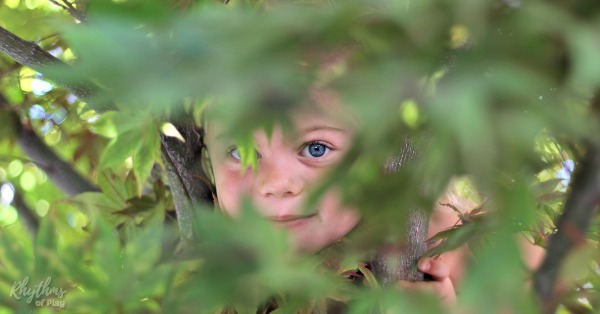 Learn how to climb a tree, how to support your child’s first efforts to climb trees and other benefits of risky play in this informative article. Explore a Shore – Take the time to explore a seashore, lakeshore, river shore, and/or creek shore… Learning happens naturally when we get outside! Go Bouldering – Find an area to let the kids scramble and climb around on small boulders for a fantastic outdoor gross motor activity with many physical, mental, and emotional benefits. Hug a Tree – A fun outdoor activity for all ages. Roll Down a Hill – Rolling down a hill is excellent for the developing sensory system. 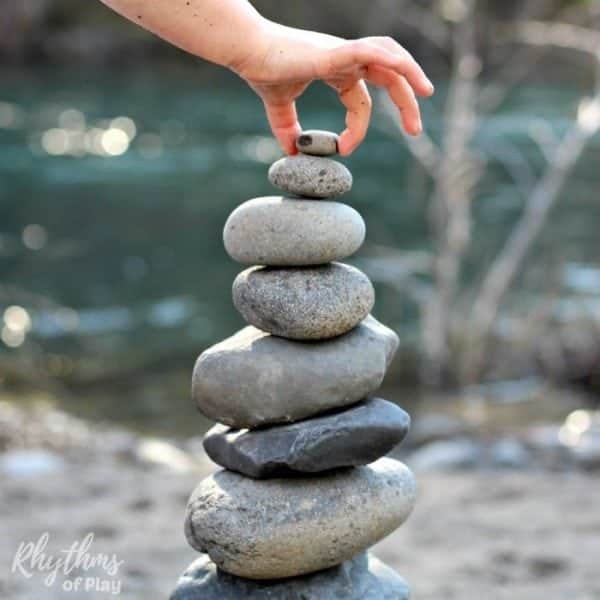 Walk Across Fallen Trees and Logs – Give children the opportunity to develop their kinesthetic and vestibular sensory systems with this outdoor gross motor balance challenge for Kids. Make Sunprints – Invite children to place objects from nature on sunprint paper and expose it to the sun. 10 Ways to Have fun Outside with Fall Leaves – The autumn is a great time of year to get outside to play the falling leaves. We have 10 fun ways to make outdoor fall leaf play a little more interesting and a lot more fun! 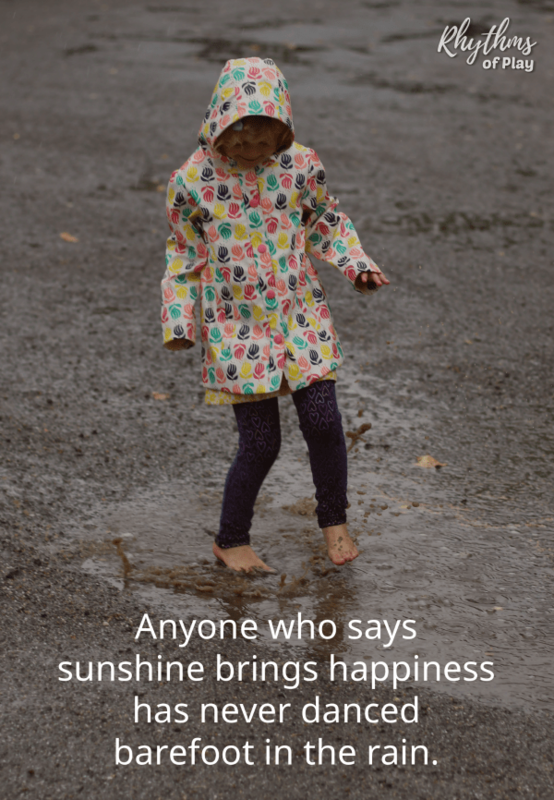 Fun Ways to Play in the Rain – 20 outdoor rainy day play activities that will have your kids running for the back door when it rains. Fall Leaf Counting – Have you ever tried to catch autumn leaves as they fall to the ground? Try this gross motor movement and nature math game with the kids this fall. DIY Nature Memory Matching Game for Kids – Excercise the brain and boost memory skills with this fun twist on the classic game of memory. Using items found in nature adds a sensory component to the game of memory that increases its brain-building power. Invite your children to discover the magic and wonder of the natural world with some of these creative nature scavenger hunt ideas for kids. Sensory Card Nature Scavenger Hunt for Toddlers – Make a nature sensory card with your children and send them on a nature scavenger hunt. Heart Shape Nature Scavenger Hunt – Have you ever been on a scavenger hunt for colors or shapes? My daughter and I love looking for hearts in nature. Check out the amazing video we made. Seasonal Nature Scavenger Hunt Ideas – Seasonal nature scavenger hunts appeal to the child’s natural interest in discovering all of the clues that can be seen, heard, and felt in the natural world. Invite your children to become a witness to the changes occurring in nature as one season changes to the next with these seasonal nature scavenger hunt ideas. Children benefit immensely when they understand where their food comes from and know how to grow their own food. A garden is also an amazing place for children to plant the seeds of their own learning. Early literacy, math, and science concepts are found in abundance in the garden. We have a few nature study ideas to use as a starting point in your outdoor learning adventures. 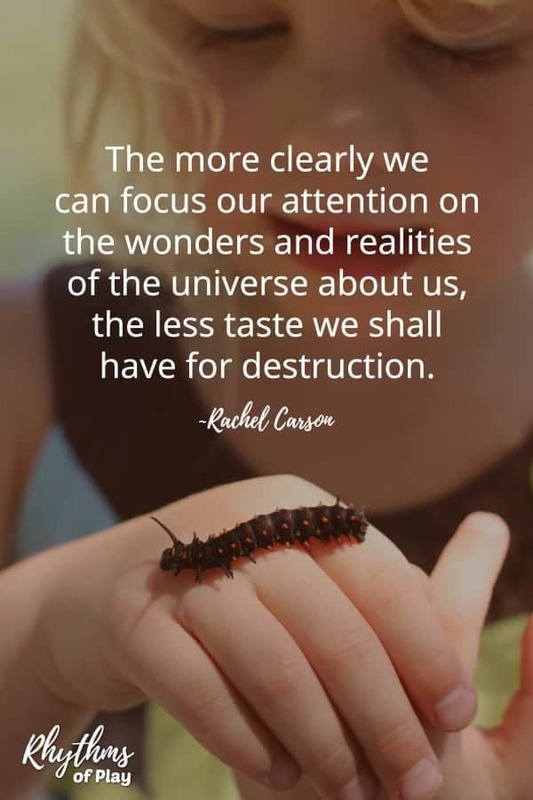 Stay tuned for more ways to learn from and with nature coming your way soon! How to Make and Keep a Nature Journal – Nature journals are a wonderful place for our children to write about their observations in nature and create nature art. The Best Nature study supplies for Kids – A must-have list of supplies to keep in your child’s nature backpack . Explore a Shore – Take the time to explore and study a seashore, lakeshore, river shore, and/or creek shore… Learning happens naturally when we get outside! Backyard Birdwatching – Children love to watch and learn about the birds in their own backyard. Observe Bees – Watching bees is a great way for children to learn about the importance of pollination and so much more! Spy on Squirrels – Spend some time observing the squirrels in your own backyard with this fun outdoor learning activity for kids. Investigate Worms – Learn about how worms make the soil rich and help your garden grow. There are so many fun ways to learn and play with nature. Try some of these outdoor science, STEM and STEAM ideas for children. A fun collection of outdoor play areas for nature school preschools, forest school kindergartens, homeschoolers, and backyards everywhere! Give your children the opportunity to get outside and learn through play with any one of these fun outdoor play spaces. Sand and Water Tables Kids LOVE! Go on a field trip with the kids for even more outdoor learning fun! Get Lost In a Corn Maze! A nature table is a space in the home dedicated to nature and the natural world. Items collected in nature or natural items that represent nature are placed on the table to be learned about, played with and enjoyed. 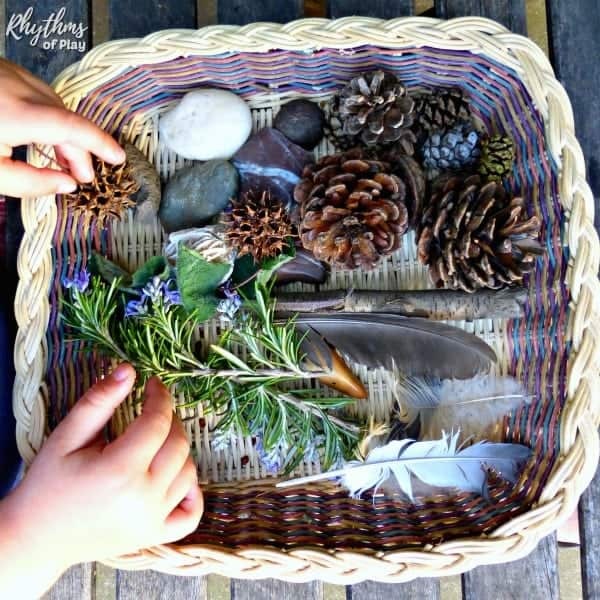 Encourage your children to bring the treasures that they collect in the natural world home to their nature table or shelf to explore in more depth. We change our nature table every few months to reflect the season, so the items on it are added and taken away throughout the year. Check out our nature table ideas for each season! Celebrate the changing seasons with the solstice and equinox celebration ideas below. Reading seasonal books with your children is a wonderful way to share the wonder and magic of nature and the changing seasons. 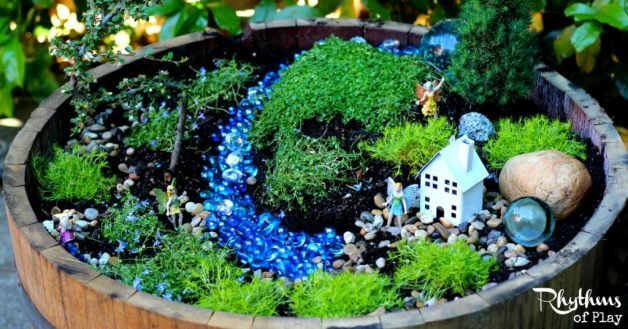 We have collected lots of awesome nature art and craft ideas that you can try with your children. Click on the links below for all our favorite ideas! 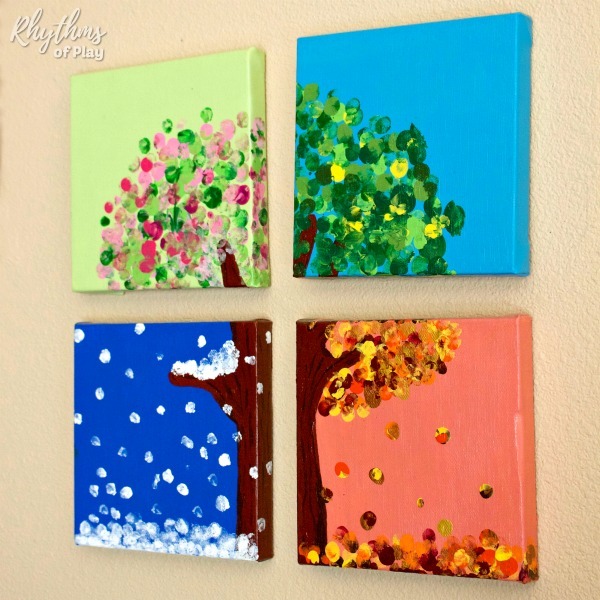 Creating seasonal art is a great way for children to learn about nature and the changing seasons. Try any of the amazing art project ideas below! Flower Art Projects Kids LOVE! The amazing collection of books listed below are some of my all-time favorites for outdoor parents and nature school educators that have a passion for getting kids outside to learn naturally. I hope you enjoy them as much as I do! 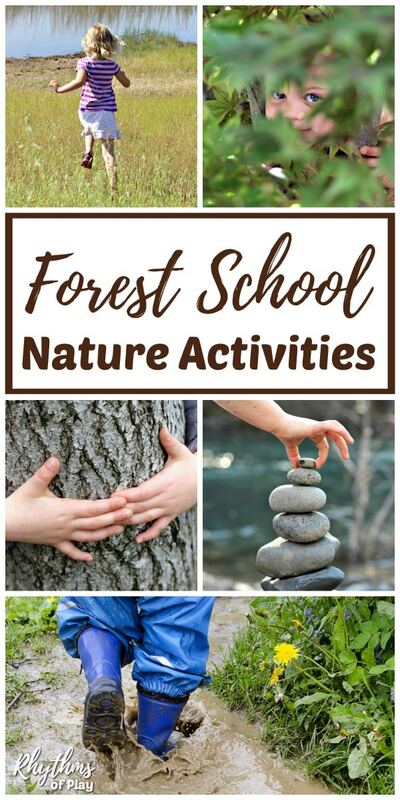 We hope you enjoy this collection of nature school preschool, forest school kindergarten, nature study ideas, and outdoor learning ideas for kids and outdoor educators. 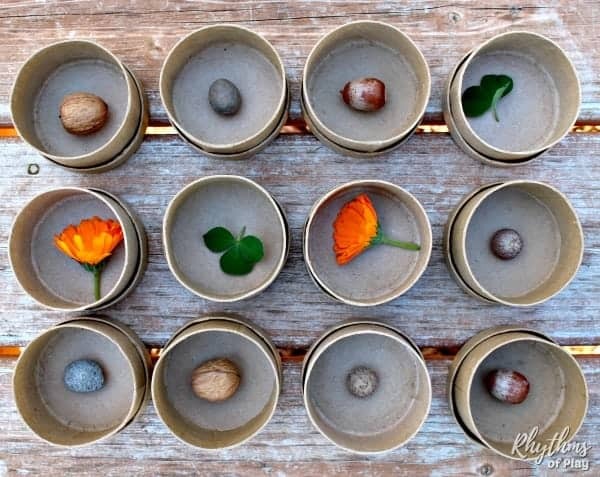 You may also like this collection of nature crafts and art ideas that use natural materials. We will be adding to this list as we find and create more nature activities for kids, so don’t forget to bookmark this page and check back often for even more ideas!